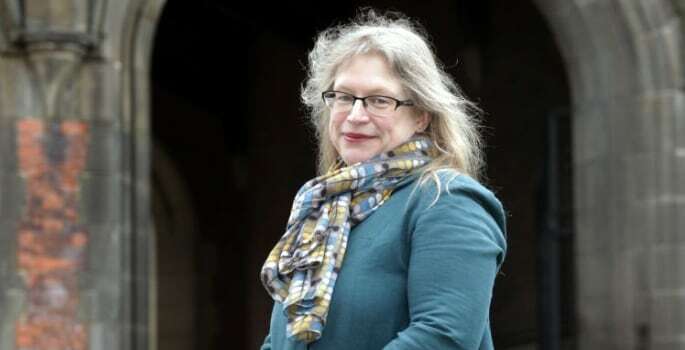 Julie joined Newcastle University in 2015 as Pro-Vice-Chancellor for the Faculty of Humanities and Social Sciences. She takes up the Deputy Vice-Chancellor (DVC) Elect post with immediate effect but will also continue in her current role until a successor is appointed. Julie has a wealth of experience in cross-disciplinary research, and a strong track record of leading innovative teaching projects. One of the first priorities she will focus on will be new cross-university projects on inter- and transdisciplinarity in both research and teaching. This will involve building new collaborations not just across the University but with external partners also. In her role as Pro-Vice-Chancellor, Julie has led several new areas of excellence enabling Newcastle to consolidate its position as a leading university to work with in the cultural and creative sector, alongside long-standing research and teaching strengths in Fine Art, Heritage and English. Immediately prior to joining Newcastle, Julie was a Vice-Provost of Nottingham University’s Ningbo Campus in China for two years. In her new role, Julie will use this experience to support Newcastle’s international strategy. Julie has always championed working with students as partners. Her new role as DVC will see her work closely with Newcastle’s Pro-Vice-Chancellor for Learning and Teaching and student leaders and representatives to ensure the student voice is heard and has genuine impact in all areas of thinking and practice. Julie said: “I am over the moon to be asked to be the Deputy Vice-Chancellor at Newcastle University at this moment in time. There is real energy around the place as we come together to develop the vision and the strategy for the future. I hope in my new role to be able to support staff and students to realise their ideas and aspirations. I am immensely proud of what the HaSS Faculty has achieved in recent years and I know what a terrific team effort that has been.